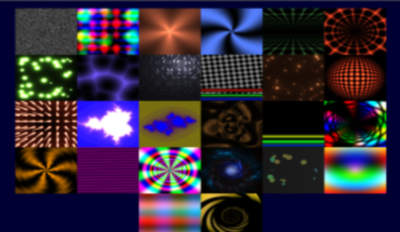 In this exemple 26 sprites with 26 effects . Interested to see what performance impact they would have. No performance issue why ? The selected sprite have 1 effect named multipleFX but you can select one of the 20 fx. Example is better than words ! and ask me to add this in the list ..
good work! You will release it as a downloadable construct 2 effect? Yes mr tatogame, i just need 6 fx to finish this work, the fx file is ready but need to implement speed on all fx. I will release in 2-3 days..
Hey! 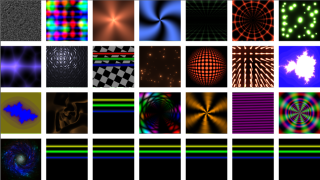 It's possible to port this shader from shader toy? many people will be thankful for this one. I know this shader has no texture, and the target object is drawn. and that's the problem to make the port, it may be possible to change the disk vector object in this shader with any construct 2 object? Very nice, and no effect on fps for me: solid 60fps. Cool! Great work, you're the best!